With the retirement of Timothy Smith, the Rutgers Band program set out to find a new leader for the Pride of New Jersey. 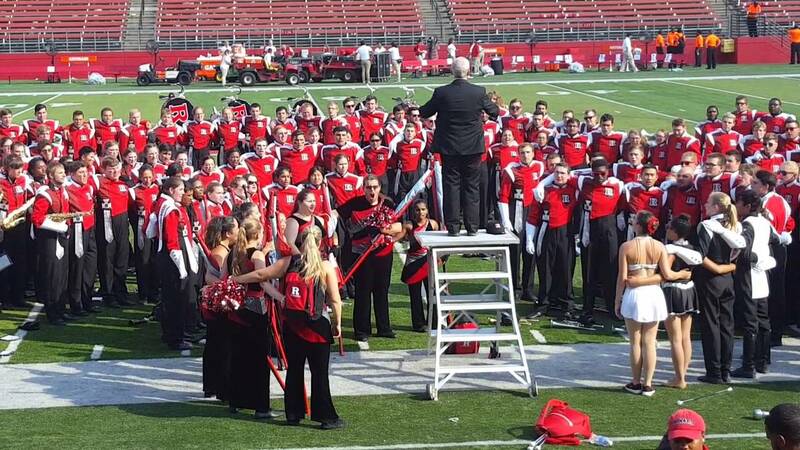 We sat down with Todd Nichols who was just recently hired as the new Director of the Marching Scarlet Knights to hear about his vision and direction for this B1G band. 1) Tell us about your background. Marching career, teaching career, education, family, etc. I have been involved in marching band since 1990. I marched all four years in high school and became drum major my senior year. While I was in college, I was extremely fortunate to gain tremendous experience teaching numerous NJ high marching bands. I taught many drum lines/percussion sections and in some cases I became an assistant director at some wonderful schools including Dunellan, South Brunswick, Hillsborough, Hunterdon Central Regional, and Cherry Hill West. I became a full time director in 1999 and have been teaching in public school for 19 years. I taught for 6 years at Edison High School where we were able to create a state level marching band program, wining the NJ State Marching Band Championship multiple times. For the past 13 years I have been Director of Bands at Roxbury High School where we have developed a nationally recognized marching band program that includes two marching bands (one competitive and one show band). Roxbury has been awarded state, regional and national championship titles. The Roxbury band was also proud to be halftime performers at the 2014 Super Bowl with Bruno Mars and the Red Hot Chili Peppers. I am NJ born and raised and am very fortunate to have my whole family still here in NJ. I am happily married for 18 years to my wife Beth. We have two beautiful girls...Sarah, 12 and Emily, 9 and our wonderful golden retriever Rosie. 2) Why the Rutgers band? What ties you to the program and how did you get to the Director position? I have lived in NJ all my life and always had a great deal of admiration and respect for the Rutgers marching band and the RU Band program as a whole. I applied for the job posting and went through a rigorous multi day audition and interview process. Fortunately, things worked out and now I will be able lead the marching band that I have been a long time fan of. I am incredibly excited! 3) What excites you about this role? What will be your biggest challenges? How do you take what has been one of the smaller B1G bands and get them to the same level as the Michigan, Penn State, Minnesota band levels? 1. I am most excited about being part of a large comprehensive university band program. I am really looking forward to joining a community of like minded musicians where we can all work together to create incredible musical and visual experiences for our members and audience alike. 2. The biggest challenge will be getting acclimated to the B1G and the expectations associated with this. 3. My number one priority is recruiting and working very hard to build our membership in the RU Marching Band to be on par with the other large programs in the B1G. 4) What is your style? Traditional B1G high step? New show each week? Any concepts you're looking to explore? 1. RU already marches in the corps style and I intend to keep it that way. In our part of the country it is what students are accustomed to in most programs and therefore will provide a smooth transition into the RU Marching Band. 2. My plan is to continue in the B1G tradition and have a different halftime show each week. We will have a traditional set pre-game routine/show and a set post game tradition as well. 5) Talk about Tim and his impact on the program and how you hope to fill his shoes. 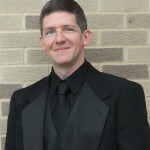 I have known Tim since I began teaching in 1999. I have a great amount of respect for him and the work he has done to build the Rutgers Marching Band into what it is today. Ironically, Tim and I were supposed to work together my very first day on the job in Edison 19 years ago. At that very same moment many years ago Tim was offered the job as the RU Marching Band Director and remained until his retirement...Lucky for Tim but unlucky for me. Although we never were able to formally work together, I look at this new opportunity as a chance for me to continue the traditions that have been established by Tim and build on them while creating new and exciting opportunities for our RU band family! Bonus: Give us 3 fun facts about you that people don't know.